Luca Turin is a biophysicist who studies the science of smell with particular focus on the vibrational theory of smell, eg a theory that states that what we perceive as our nose noticing a smell is in fact our reaction to the properties of a molecule. Basically this means that he deals with how molecules smell. A few years ago he gave a TED-talk on this. Now, my childhood dream of becoming a marine biologist so that I could work with dolphin rehabilitation was destroyed by my brains total inability to excel in chemistry. So this talk demands some energy and focus from me. But if you are a more scientific kind of thinker this will probably be like a night at the cinema for you. And it is an interesting talk as it touches upon the issue of natural vs synthetic ingredients. Luca Turin is also just generally a great speaker. There is a section about coumarin (which I wrote about yesterday remember?) with this super-nerdy quote. “So they asked us to make a new coumarin. And so we started doing calculations. CREED, or House of CREED to be correct, was founded in London by perfumer James Henry Creed in 1760. Throughout it’s long history this house of perfume has had many royal clients. The first royal commission came already in 1781 from King George III, for whom CREED made the scent Royal English Leather. When it was time for CREED’s 100th anniversary the company moved to Paris at the request of client Empress Eugénie for whom CREED created Jasmine Impératice, a fragrance that the company to this day continues to make and sell. (Top notes: bergamot, middle notes: Bulgarian rose, ambergris and Italian jasmine, base notes: vanilla and sandalwood). Eugénies husband, a certain Napoleon III, was also one of CREED’s clients. In 1885, Queen Victoria appointed CREED “official supplier” to the British royal court. For her majesty, CREED created the scent Fleurs de Bulgarie by commission. This engaging scent, rich with roses, is available today. (Top note: bergamot, middle note: Bulgarian rose, base notes: ambergris infusion and musk). The list of famous persons who have not left their home without their favorite CREED on their skin is as endless as diverse. Queen Maria Cristina of Spain was a client, the Duke and Duchess of Windsor wore CREED, for some time Sir Winston Churchill’s favorite perfume was Tabarome. In 1933 CREED created Angelique Encens, for the Bishop of Paris. 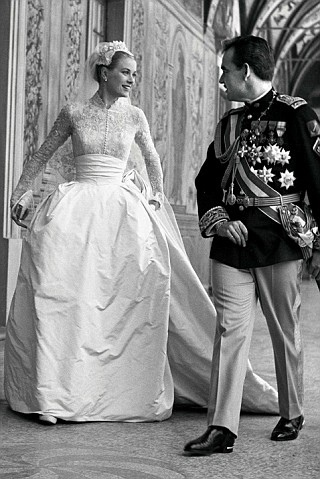 And in 1956, CREED created Grace Kelly’s wedding scent, Fleurissimo, by order of her fiancé Prince Rainier. The brand had a powerful revival in the 1980’s with the fougère Green Irish Tweed, created by Olivier Creed and Pierre Bourdon. I cannot really go in without mentioning something more about fougère… A fougère is a classification. These perfumes belongs to a family with a top note of lavender and base note of oak moss and coumarin and are more common in fragrances pour les hommes. There are also aromatic fougères which then also have spices and wood in them. You often find vetiver and bergamot in a fougère. 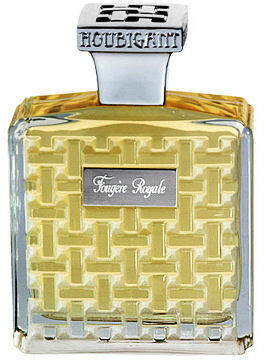 The name comes from the paradigmatic perfume Fougère Royale for Houbigant created by Paul Parquet in 1882. It was relaunched in an updated version in the late 1980’s, then production was not produced anymore but I heard that it has just been relaunched again? Epic however regardless. Back to CREED. CREED is a rare fragrance company, not only for it’s respect for the traditions of perfume making but also because it is the world’s only privately held fragrance dynasty. It was founded by a CREED and it is still 250 years later passionately developed by the same family. This also makes it one of the world’s oldest family businesses in general. Today, the company is based in Paris and led by Olivier Creed. 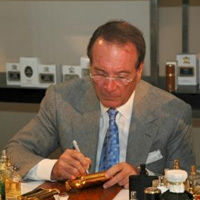 His son Erwin works with him and is likely to be the seventh generation of CREED perfume makers. I find this aspect of the company immensely admirable and fascinating. CREED perfumes are created using the techniques of maceration and filtration. The house is famous for being a strong proponent for natural ingredients. As you can imagine there is quite a range of CREED fragrances to choose between. I have yet to find a favorite but wouldn’t mind owning a selection of bottles with magic from this house. Especially Sublime Vanille from 2009. You can find a complete list of CREED fragrances and information about them here. Another great feature of CREEDs homepage is their scent finder form which is sent to their staff who will help you find the right fragrance, you find it here. (Penhaligons also has this kind of service and it is actually a good exercise in itself to think about the questions in the form as this will help you define your fragrance preferences for yourself regardless of where you then go looking for them). For US citizens, I am happy to tell you that you can order samples from this admirable brand. There is also the store at 794 Madison Avenue in Manhattan which was opened when CREED celebrated its 250th year in 2010.